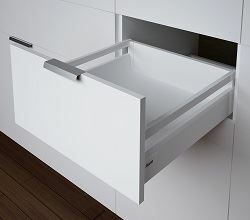 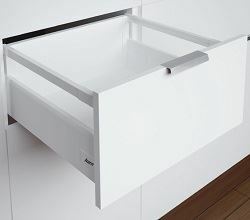 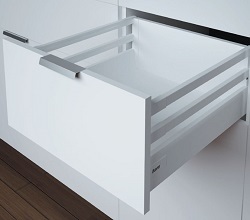 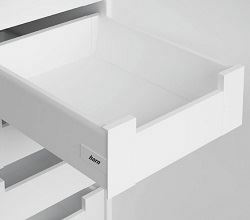 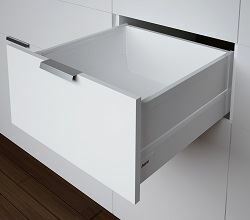 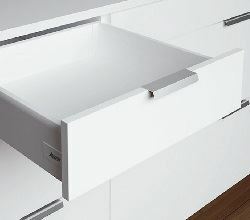 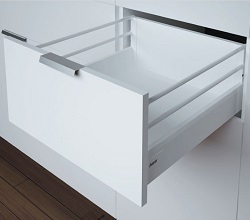 Harn Ritma Cube soft close drawer kits come in a variety of models including with railing sets or a side extension panel. 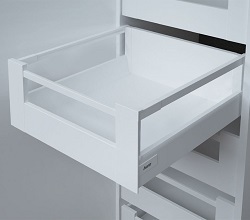 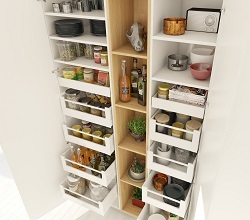 Kits attach to your own drawer fronts and backs and contain runners, drawer side panels, cover caps, front and rear brackets. 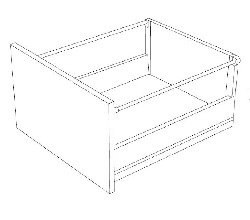 Additional components are available separately. 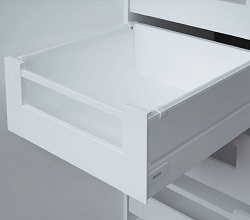 These cost effective drawer kits utilise Harn’s proven and matured I-Channel technology. 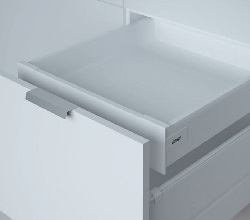 The new I-Channel features nests of roller bearing, offering smoother and quieter sliding performance with maximum loading. 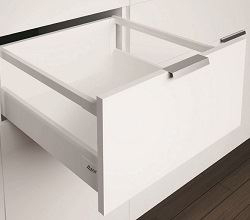 New automated fabrication processes give straighter, smoother finishing and a stronger channel. 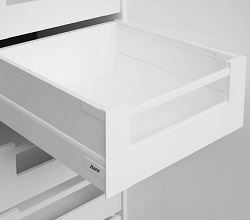 The Harn Ritma Cube soft close drawer system has machining compatible with well-known industry brands, is simple to assemble, features superior drawer-front adjustment and offers a significant cost saving.